Prominent & Leading Manufacturer from Vadodara, we offer tubular heater and tubular heater with phinnes. "Heatbird" is instrumental in manufacturing & Exporting an excellent quality Tubular Heater. The heater is extensively used in the industrial processes such as in baking oven, electric stoves, etc. The offered heater is manufactured by our dexterous professionals using the top-notch quality raw material and hi tech technology. Apart from this, the provided heater is inspected on several well defined parameters to deliver a flawless range at patron’s end. Packaging Details: Corrugated box with wooden box if required	Can be customized packaging accordingly customer requirement. "Heatbird" is instrumental in manufacturing & Exporting an excellent quality Tubular Heater. The offered heater is manufactured using top quality raw material and contemporary technology under the strict surveillance of our adroit professionals. Our provided heater is available in various technical specifications, sizes and also used in diverse industries for varied heat applications. Additionally, the offered heater is checked on numerous well defined parameters to ensure its quality. 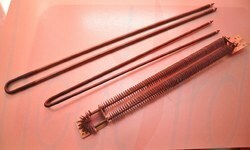 "Heatbird" is instrumental in manufacturing & Exporting an excellent quality Tubular Heater (With Phineas). Our provided heater is widely used in the heavy industries like in large boiler found in thermal power stations. The offered heater is precisely manufactured using the premium quality raw material as well pioneer technology. The heater provided by us is highly appreciated among our patrons owing to its minimum heat loss with maximum thermal efficiency. 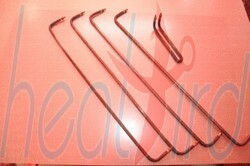 Looking for Tubular Heater ?